I still remember my first visit to LaCocina de Tita Moning when my wife took me there around five years ago. It was such an experience. A few days before our planned dinner, Pauline asked me what I wanted to order, which I found a little weird. Uhm…so can’t we just order from the menu when we’re there, just like every other restaurant? Apparently not. This restaurant does not accept walk-ins. You have to call them a full 24 hours before your planned meal to preorder your food. Oh, and there’s not much to choose from. There are only 12 set menus, so you just choose once. That’s it. These items alone made them different from 99.9 percent of the food places I knew, and even before I set foot in their premises, it was already making quite the impression on me. Finally, we got to the place. It was near Malacanang. The place itself did not look anything like a restaurant. 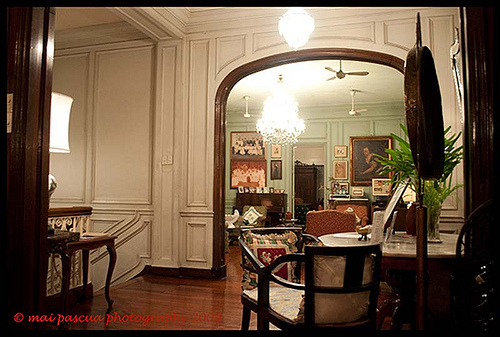 It was an ancestral home and I felt like I was in another era. With good service, too. From the moment we entered the gate, someone was serving us, helping us park our car, and leading us to an al fresco foyer, where we had tea and some appetizer. The server then asked us if we were ready to eat, or if we wanted to explore the house first. Explore the house?! Pancake House has never asked me if I wanted to explore their house before. This was new. And therefore this was exciting. Apparently, the house was also a museum. 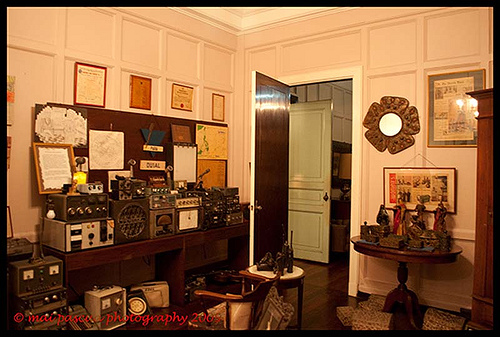 We proceeded to explore several rooms ogling different vintage furniture and radio equipment. 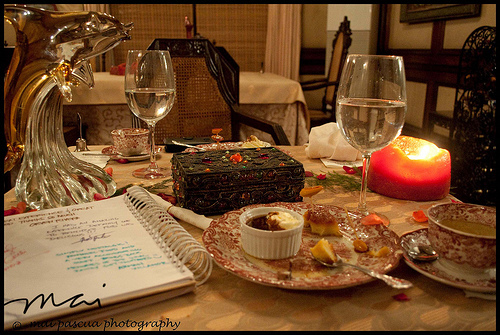 Finally, it was time to eat and we were brought to a grand dining area, where the other guests were. It was an amazing and a totally unique experience that someone designed. An experience someone took great care to execute and deliver. To rise above the noise of today’s information-saturated world, you have to be memorable, magical, unique. How can your startup be like Tita Moning? Postscript: Oh, and food was just superb! Best bread pudding ever! Next PostGet Off The Corporate Assembly Line! Hey Peter, there was another place with a similar concept to this. The place was Laya Personal Dining in Rizal, which was run by a husband-and-wife tandem (the husband was in-charge of the kitchen while the wife (Irene) had more of a marketing hat on. Although the menu was a bit limited compared to LaCocina–they only have two set meals at a time, which they tweak on occassion (I hope I got this right, only got to eat there thrice)–but aside from having good food it was the experience that got one to come back. Similarities with LaCocina were personalised service, the ambiance of the place (they started it in their home, then moved to the garden of an art gallery nearby, set in a sprawling estate of a neurologist/neurosurgeon) and they really make sure to engage their customers. You also had to reserve in advance, or you can go walk-in and take a chance if they can accommodate you. I don’t think it’s still running though, I heard the husband and wife migrated to the US already. With the number of new dining establishments sprouting in the Metro, I guess [aspiring] entrepreneurs can opt to take the ambiance/experience aspect as a differentiating factor. Thanks for sharing Paul. Too bad it closed down already, as I live pretty near Rizal. I like the “personal dining” tagline. It’s unique. In fact I googled “personal dining” and the first thing which appeared was Laya. Galing, they coined the term. One thing that’s interesting and relevant for me is the concept of having customer service as the differentiating factor. The sad thing is, I think we Filipinos are so used to bad customer service. I was telling my friend last week that all of the utilities / service firms I use at home: electricity, banking, credit cards, mobile, water – all of them and then some, have mediocre to awful service. I can’t say that any one of them – ever, has ever dazzled me through customer service. What’s interesting is, I think most of them know it. Thanks for this Peter. I am excited to try this place too. Excited for you! Don’t forget to reserve, and whatever you do, pick a set with the bread pudding!